“Silence Revealed” – Music by Andrew Colyer, Darin Brannon, and Bill Shannon. Lyrics and vocal melodies by Randy McStine. 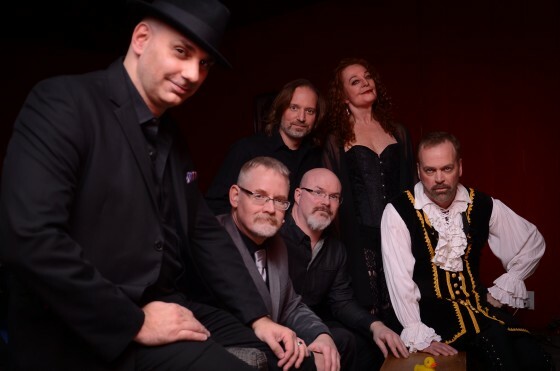 Additional vocal harmony arrangements by Andrew Colyer, Natalie Brown, and William Spillane. Guest electric violin solo by Joe Deninzon. 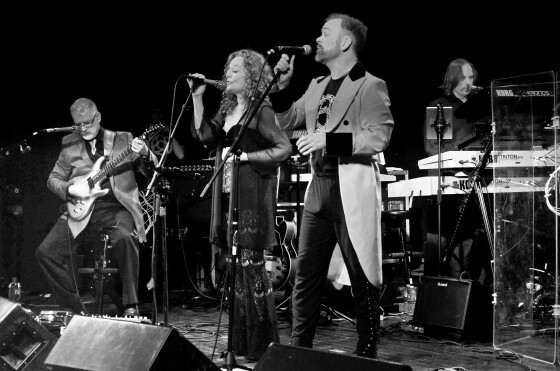 Circuline’s debut album features Guest Artists Matt Dorsey (Sound of Contact) on bass, Randy McStine (Lo-Fi Resistance) as a songwriter and vocalist, and Joe Deninzon (Stratospheerius) on electric violin. 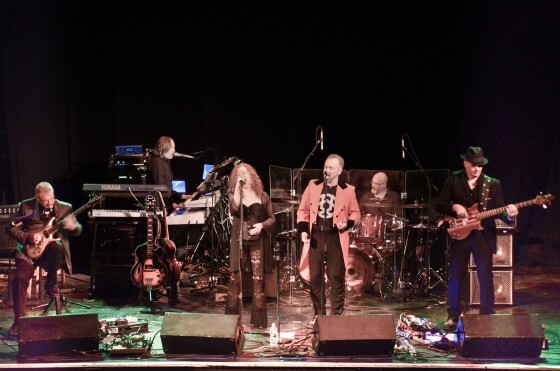 Paul Ranieri (Mark Wood Rock Orchestra), seen in the above video, is the new bassist with the band. Video recorded at the Bearsville Theater, Woodstock, New York,; New Jersey ProgHouse, Dunellen, NJ: and Enigma Dance Hall in Milan, New York. Additional video courtesy of Joe Deninzon and Stratospheerius. 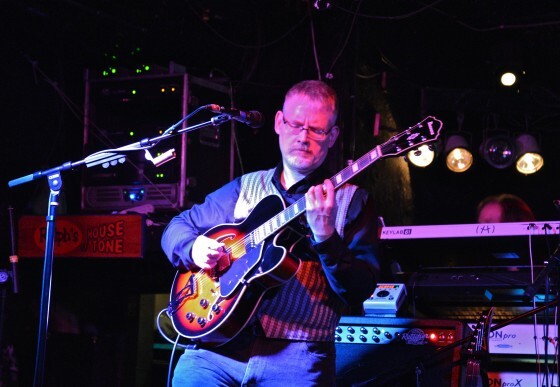 We would like to announce that founding member, guitarist Bill Shannon has decided to move on to other life projects. 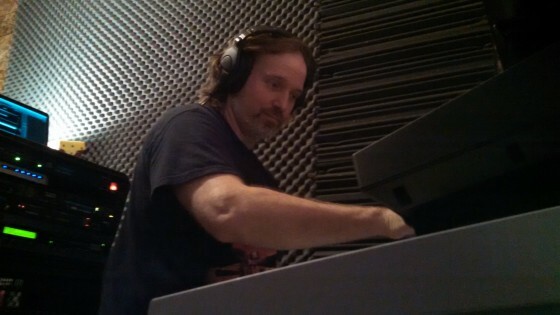 We can’t thank Bill enough for his contributions to Circuline’s debut album, RETURN. 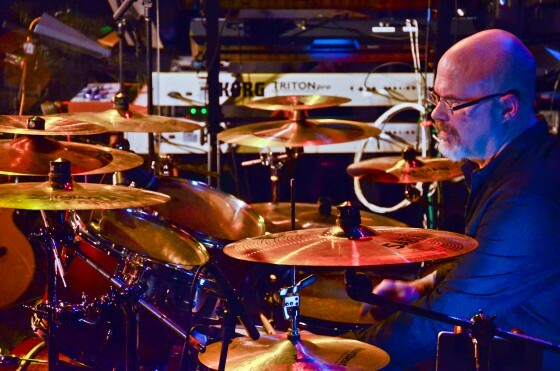 Undeniably, Bill’s talents were integral to the success of our debut album, RETURN, and he will be missed. He is a great guy and we wish him all the best in his future endeavors. Circuline is back in the The Cave, composing and recording the second album! Look for a March 2016 release date. 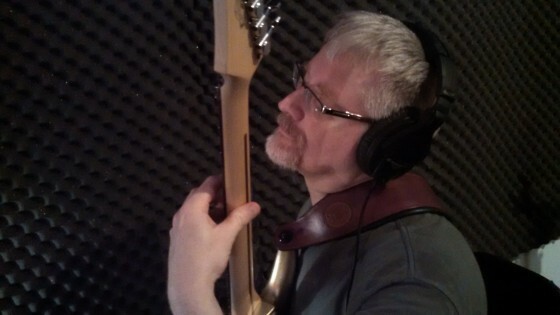 Here are some photos from the June and July writing and recording sessions. 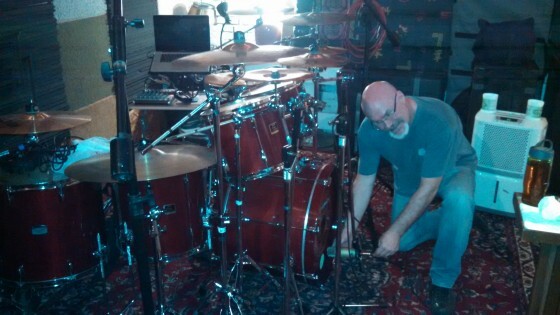 Darin Brannon sets up his drum mics in The Cave. 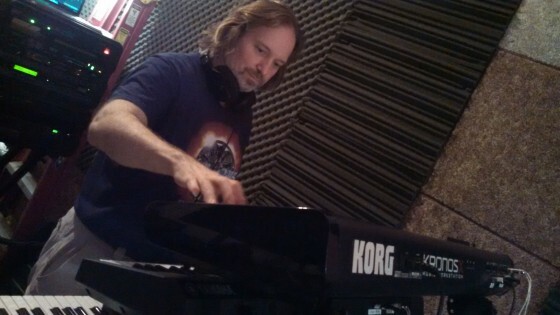 Andrew Colyer tries some new keyboard sounds for Circuline’s second album. 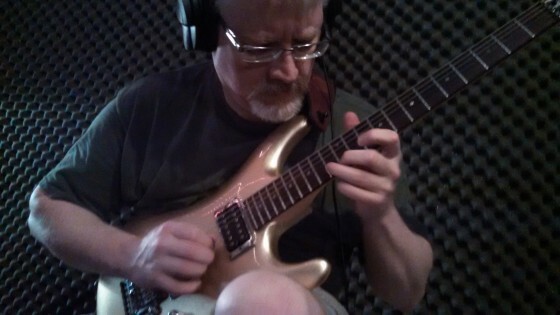 Bill Shannon working on new guitar parts in The Cave. 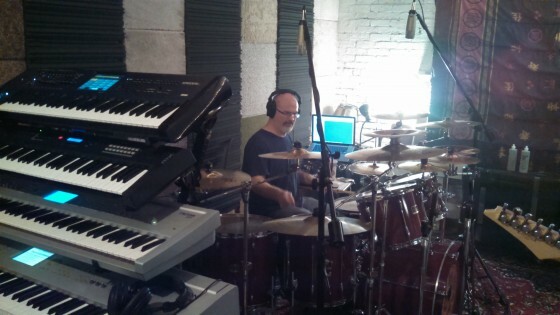 Darin Brannon behind his drum kit in The Cave. Bill Shannon in The Cave. 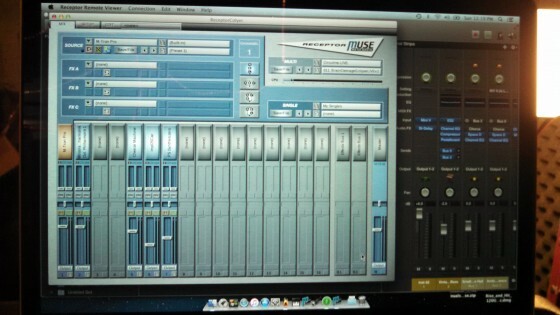 Andrew Colyer’s new keyboard rig – a MacBook Pro running Mainstage 3, controlling a Muse Receptor. 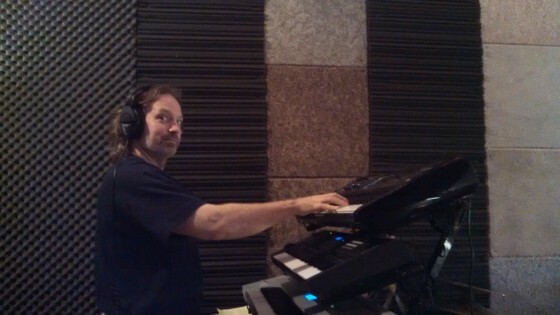 Andrew Colyer composing in The Cave for Circuline’s second album. These photos are courtesy of Rob Shannon Photography, Catskill, New York.